The 28-year-old is fit again, he confirmed himself ahead of United’s clash with Swansea City. 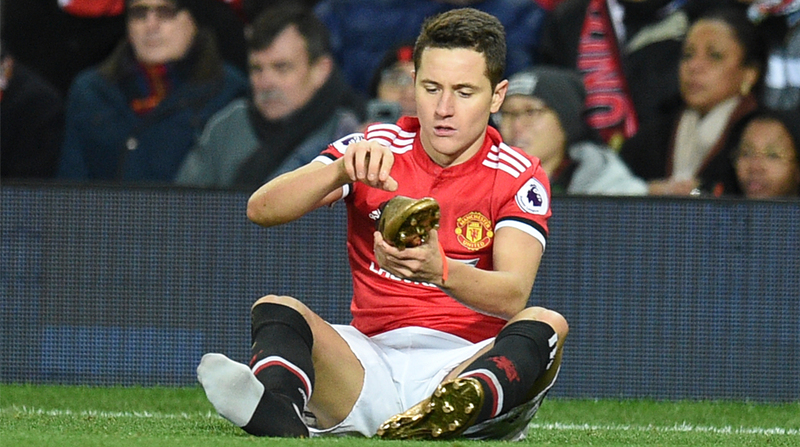 Football clubs are always looking at novel ways to connect with their fans and Manchester United attempted to do just that by roping in midfielder Ander Herrera for an interview in which all the questions were posed by supporters. Arguably the most famous moment in the club’s storied history is their treble triumph in 1999 and Herrera revealed the iconic UEFA Champions League final between United and Bayern Munich, which the Red Devils won 2-1 thanks to two late goals, is his first memory of the Premier League giants. Jersey numbers are very important in for today’s media-conscious midfielder and the fact that Herrera has 21 on his back had been a topic of debate among fans but the Spaniard divulged that there wasn’t any specific reason why he chose that particular number. Herrera, who had been injured, recently declared himself available for selection ahead of Swansea City’s visit. He’s expected to battle with Scott McTominay, Paul Pogba and Marouane Fellaini for a starting spot in Jose Mourinho’s XI as Serbian enforcer Nemanja Matic is a confirmed starter. Ander Herrera Answers YOUR Questions!